A new Divine Plan filled with advanced creative ideas beyond the wildest dreams of even the most brilliant, advanced minds of today is being beamed down via the powerful Rays of God-consciousness upon Earth and humanity from the Great Central Sun of this Sub-universe. An advanced Soul, treading the narrow path of Ascension, must learn how to absorb and integrate the three major God Rays of the coming Age,THE SPIRITUAL TRINITY, consisting of: DIVINE WILL * LOVE / INTUITION * INTELLIGENT, PURPOSEFUL ACTION. Why not move into the center of the spiral of ascending consciousness, into the eye of duality and polarity, where all is calm and peaceful — filled with Pure Cosmic Life Force Substance, Adamantine Particles, just waiting to be molded into your vision of the future? This very moment, as you move into your Sacred Heart Center, you can experience the profound love and compassion of our Father/Mother God and the Supreme Creator. Please accept this immutable truth: you are a treasured son or daughter on an important mission and nothing you can say or do can diminish that love. It is time to open the brain passages of your mind to the higher frequency codes of your OverSoul/Higher Self. Too many of you are still carrying great burdens from the past. Mistakes you have made in this lifetime, and also many from past conditioning and buried memories of painful events or actions from all your previous lifetimes. Holding onto these memories or carrying the burdens of inequity no longer serves you. It is time for you to allow us to help you heal the painful memories stored within your physical vessel and auric field. Just as we are clearing the distortions of the Third-/Fourth-Dimensional, collective-consciousness belief patterns, thereby bringing those Dimensions back into their originally designed spectrum of duality. Fear is a primitive fight or flight emotion, which will hinder the expansion of your consciousness awareness. It is time to clear and reprogram the base, instinctual components of your lower human nature. It is important that you understand — even though you no longer remember your past errors or the thoughts and deeds that threw you off balance — that until these negative thought forms are acknowledged and transmuted, those energies are still present within your cellular structure waiting to be rectified and returned to harmony within. Through your conscious awareness and by aligning your will with the Will of your Higher Self and our Mother/Father God, all that is not in harmony with the frequencies of the higher Fourth/Fifth Dimensions is roiling up within to be healed and returned to the harmonics of peaceful coexistence, joy and loving intention. This is the source of so much of the inner turmoil, challenges and tests that you, the Self-aware seekers of Light, are experiencing. During these wondrous, yet trying, times, you are being given a grand opportunity to tap into the Cosmic Library, which holds the mysteries of this Sub-universe. 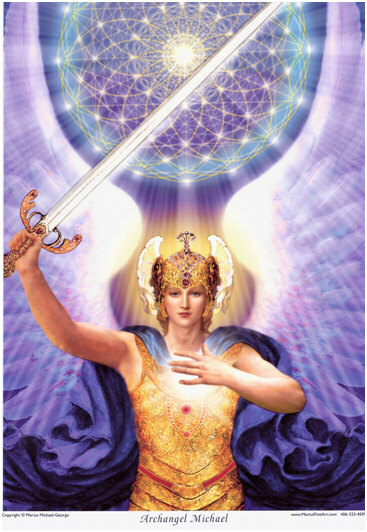 You, the StarSeed, are gradually becoming equipped to tap into those sacred temples — Pyramids of Light — where the universal laws and wisdom of the ages are stored. In doing so, you will learn that you can traverse any height, surmount any obstacle, and your path of Ascension will be revealed with certainty. You have never lost your divinity or your Godly intelligence. It has only been in safe-keeping, awaiting the time when you would, once again, awaken to claim your birthright as a Divine child of our Mother/Father God. Remember, in order to manifest your Spiritual vision, you must define what you wish to create, and then clearly envision it. First of all, as a conscious cocreator, you should focus on manifesting a refined, evolved state of Being, and a harmonious quality of life. Therefore, you should seek an abundance of love, joy, peace, creativity, good health, compatible satisfying relationships, and so on. Seeking to incorporate the qualities, attributes and virtues of God Consciousness will assure success in creating all the material objects you require to live in comfort. You are learning to become one with the infinite flow of abundance, as you traverse the many levels and dimensions of Creation. One of the most important concepts that you must accept as your truth is a crystal clear awareness that you are the creator of the reality in which you will live now and in the future. This is a balancing lifetime for you, the StarSeed, whereby you are seeking to bring into harmony all the Facets of your Being. Deep within, you are aware of how important it is for you to honor and integrate your feminine nature, the gentle, intuitive, creative and inward focused energies, as well as developing and using your masculine attributes. Strive to be strong, yet gentle, outward focused as you tap into the treasure house of wisdom within. Your Divine nature will grow in strength and conscious expression as you learn to draw forth the wisdom of your Sacred Mind, OverLighted with the compassion of your Sacred Heart. You must learn to speak concisely, constructively and confidently. Know that if you stay centered and focused within your Sacred Heart, the Universe must respond in a positive manner, and your success will be assured. We ask you to use discernment before taking anyone’s teachings as your truth. Do not get hung up on theory or complex information. Take only that which resonates deep within — that which is loving, enlightening and expands your awareness. There are many half-truths in the teachings that are now being brought forth to humanity. Remember, you are the one who must create freedom, abundance and empowerment in your life. No one else can do that for you. Discernment is a vital attribute for those on the path of Ascension and enlightenment. Whatever you choose as your truth, you must integrate and apply it in your life through focused intention and action. DISCERNMENT / HEART-CENTERED INTENTION / DELIBERATE ACTION result in positive manifestation. No matter what station, circumstances, or level of awareness you assumed for this incarnation, deep within your Soul-Self was a burning desire to integrate the multiple-level Facets of your Beingness. However, first they must be healed and harmonized so that they may be filled with the rarified Light of the higher realms. 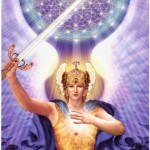 As you allow your Higher Self to OverLight and guide you, more and more inspired thought will come to you. There are many ways to allow Spirit to manifest through you; just let it happen naturally, dear ones. What makes your heart smile and brings you a deep sense of satisfaction? How do you wish to serve? There are many ways, and you have many talents (more than you will acknowledge); however, the choice is always yours.